Spiritual Journeys seeks to illuminate the way for those who are searching for a deeper connection and for those who have lost their way. 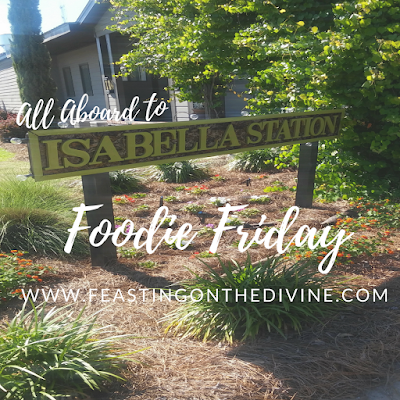 Spiritual Journeys and every post on Feasting on the Divine welcomes conversation. Use the comment section to share your thoughts and feedback. Need a little more privacy? Email me. 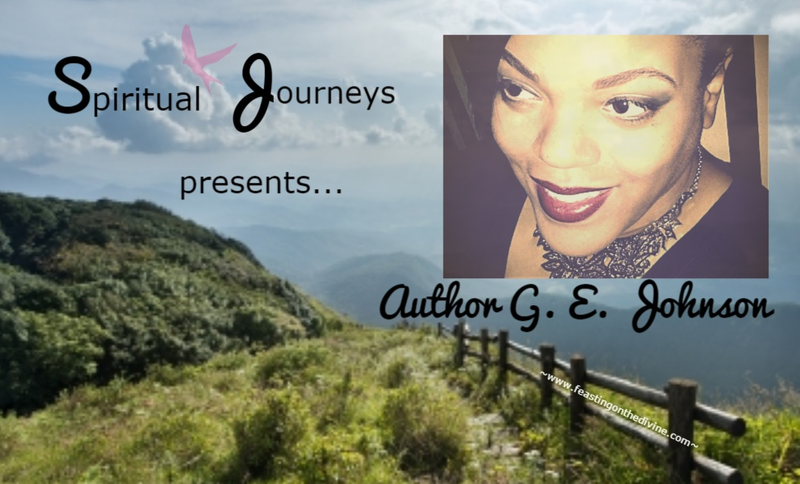 You're going to be truly blessed by Author G. E. Johnson's interview! She reminds us that trials will come and sometimes in multiples. She offers testimony and godly wisdom to inspire us to stay on our spiritual path. Tell us a little about who you are: I am the author of bible commentary “Discovering The Shepherd: A Study of Psalm 23” and I am the Founder of Book Promotions International, a company focused on assisting authors with marketing their work. What and when was your first glimpse of a spiritual awakening? I have been exposed to God and church since I was born, but I believe my first personal glimpse was around 6 years old when I accepted Jesus as my personal savior. I was sitting in church next to my mother and when my Pastor asked for anyone who wanted to accept Christ to come to the altar, I got up and walked up by myself. Even though my father was a minister, I was free to accept Christ on my own. What is the importance of your spiritual life? My spiritual life is my entire life. I believe that everything I do, whether in business, family, education, etc., inevitably serves a God-given purpose. We are given gifts to use in our day-to-day living that should bring glory to God when we use them according to His purposes. What was the most difficult part of your journey? What was the most inspiring? I believe I am on the most difficult part of my journey so far in my life. I have been hit with every test imaginable since the early part of the year including my mother having to have major surgery, having to uproot my daughter without another steady home to go to, loss of old friendships while simultaneously being judged and falsely persecuted by strangers. Despite how it sounds, this has been the year that I have been most inspired. From the loss, the pain, and the persecution has emerged a purity of purpose and intent tried by the gospel fire of Jesus Christ himself. As much as you are comfortable, share some things that have strengthen your faith. Trials have strengthened my faith. The Word of God has strengthened my faith. Believing for the promises of God to manifest in my life has strengthened my faith. If you could give one piece of advice to others on their spiritual journey, what would that be? Believe God. Believe that His Word is truth and that you can stand on it no matter what. Hold fast to what God has spoken to you even when no one else can hear it or has heard it. The winds will blow, the rain will fall. STAND if you can. If not, lie down but do not leave your path. When a spot of calm comes again, get up and move forward again. Crawl if you have to, but do not give up. God is always with you. He never leaves you and He will fight for you and with you. To connect with Ms. Johnson, please visit her on Facebook and Twitter. Thank you again for inviting me to share! That scripture is confirmation for me and is very comforting. I reference it in "Discovering The Shepherd." You discover something very profound when you look at the words for "beauty" and "ashes" in the Hebrew. "Beauty for ashes" would more accurately be translated as "the diadem, or crown, of a king in exchange for worthlessness." How amazing is that! I'm so glad you posted this scripture. Powerful! We learn so much when we study to show ourselves approved (2Tim 2:15). God is so amazing!